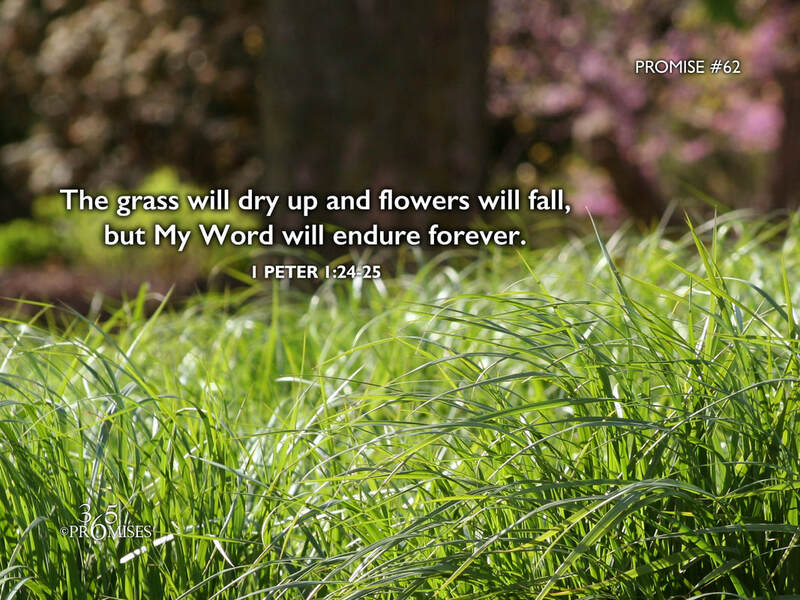 The grass will dry up and flowers will fail but My Word will endure forever. 24 For, “All flesh is like grass, and all of man’s glory like the flower in the grass. Everything around us is temporal. The grass of the fields may look beautiful today but they will not remain that way for long. Our homes, our material goods, our jobs... are all temporal. It is amazing how much time and energy we spend on things of this earth that will not last even for 100 years let alone forever. What will abide for all eternity is the Word that is spoken directly from our God and Father. The Greek word used in 1 Peter 1:24-25 is 'rhema' which is defined by the Strong's Concordance as that which is or has been uttered by the living voice, thing spoken, word. In Matthew 4:4 we read the following words... Jesus answered, “It is written: ‘Man shall not live on bread alone, but on every word that comes from the mouth of God.’ (NIV) Jesus uses the same Greek word 'rhema' in this context as well. My prayer today is that each and every one of us would be comforted in knowing that our God and Father is still speaking today and His Word is alive and will endure forever! We can rest in and rely on the goodness of His Word for us right now and for all eternity!